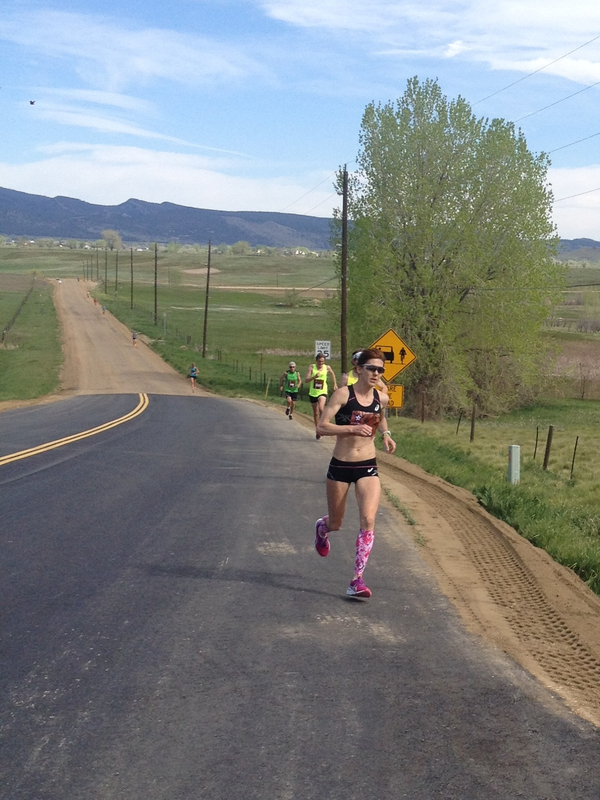 Ellie attended the packet pickup at the Boulder Res Friday afternoon with her girl friends Kate and Lindsey. 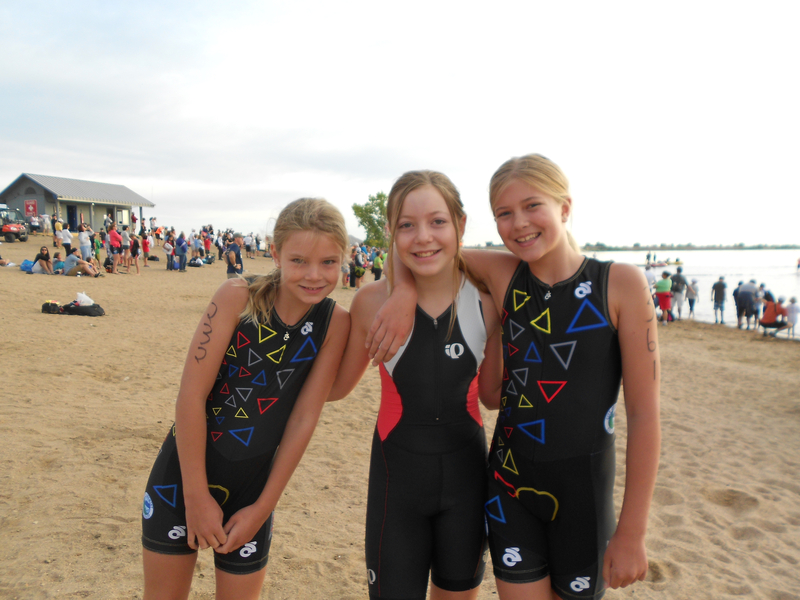 The three of them were registered in the 9 to 11 year old Intermediate division of the 2013 IronKids Triathlon. Afterward, Kate and Lindsey’s dad made us dinner at their house – chicken piccata, pasta and salad. I forgot to ask what the dressing was but the salad contained thin yet crispy apple slices. This morning, I woke Ellie up at 5:30am, then again for reals at 5:45am. She ate a light breakfast while I drank coffee. Then we drove back to the res to setup her bike and gear in the transition staging area before the 6:45am deadline. The girls wave didn’t start until 8:30, after the Seniors. They played on the beach and primed their pumps with some light swimming while we waited. Dave showed up before the start with breakfast bagels for us big kids. They hit the spot. Not sure why food and drink vendors don’t attend this event. It’s huge. Anyone selling coffee could have made enough to winter in Florida. Kate was one of the first girls out of the water. She’s a fantastic swimmer. Ellie’s game plan was to pace herself and simply try to finish. She swam a nice straight line to the first buoy. Ellie said the swim on the way in from the second buoy consisted mostly of swimming around people. It got crowded from some of the boys who were still in the water from the wave ahead of her. Ellie’s game plan on the bike was to take the first lap easy and to speed up on the second which she said she did. There were some momentum killers though like when the course does a u-turn at the firehouse at the bottom of a hill. The bike was clearly her slowest leg comparatively but she kept to her plan which was to keep a comfortable pace. The bike was four miles whereas the run was one mile. That makes the run a bit long relative to the swim and bike. In my mind anyway but maybe a 4:1 ratio is normal. Ellie ran strong though turning in an 11:08 mile. I thought initially from the results that her mile run pace wasn’t much off from her bike pace. Same with many other kids. That made me suspect perhaps the bike course is longer than advertised. Then I figured out the bike pace references laps and not miles. The timing results have a number of issues I won’t get into. Not sure why it’s so difficult though to publish meaningful and accurate results. Ellie finished feeling good. This is her first ever Triathlon. She wants to join a triathlon training team next summer with her girl friends. She trained well enough this summer to complete a triathlon. Next time she wants to be competitive. That’s my girl.